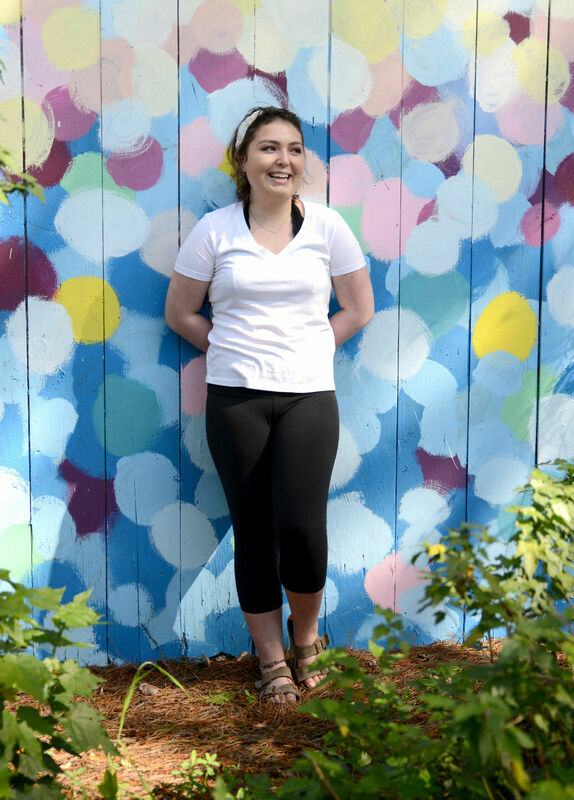 My name is Sarah Banholzer and I am 17 years old and undergoing treatment for Lymphoma. I have already battled Acute Lymphoblastic Leukemia when I was 4 1/2 years old with 2+ years of chemotherapy, several surgical procedures and lots of pokes and yucky stuff, I had hoped that I would never take another chemo med again, but sadly, in November, I had what was thought to be a cyst removed from my forehead, but it was Lymphoma. This time, things leading up to the diagnosis were different. When I was 4, it made some sense because I had been feeling badly, but this time, I was feeling great. I was having a great Sophomore year, had just finished my high school volleyball season, had just been selected to my 1st choice for a club volleyball team and had been running (actually I had just ran 5 miles with my Mom the week before)…. I guess that it doesn’t ever make sense though. So, now I am on this road for a bit longer, but I will beat this and soon be back doing the ‘normal’ teenage things that I was doing before this. My desire to give back for all of the incredible love and support that I have received from so many during my life has only grown deeper now. ​This desire began during the 2012 holiday season. That year (2012), my family and I made and sold over 200 ornaments out of magazines and recycled Christmas cards in about 1 1/2 months and with the $1,100 in donations, I was able to purchase Christmas gifts for the kids at Children's Hospital Oakland. The next year(2013), it grew into a much bigger project and with the help of my Girl Scout troop and friends and family, we made over 500 ornaments and raised $2,500 that we used to buy lots of gifts for the kids at Children's Hospital Oakland! Christmas 2014-2017, we have made and sold crafts and baked goods and were able to provide each child in the hospital a wonderful gift that Santa hand delivered to them on Christmas Eve! This past Christmas, we sold my apparel and our hand made bird house and succulent planters and used the proceeds to again take over 100 gifts to the children in the hospital! The name for my website came from a class assignment in 5th grade. Ms. Landis (the greatest 5th grade teacher in the whole world!) had us create 6 word memoirs that described our lives and this is what I came up with...Be Strong and Give Back Happiness! We have started an annual Swimathon to benefit Children's Hospital Oakland - Be Strong and Give Back Happiness Swimathon!!! Our 5th annual was held at Pleasanton Valley Swim Club on Sunday, in April last year. It was amazing! We had 77 swimmers and raised ovet $12,500 for Children's Hospital Oakland! Please check out my Swimathon Results page to see the wonderful programs that this money is going to at Children's Hospital Oakland! The 6th Annual Be Strong and Give Back Happiness Swimathon will be held in May 5, 2019 and we hope you can join us!